The heat of summer is fully upon us here in Raleigh and what better way to cool off then eating ice cream? Nothing, there is no better way. At Ben and Jerry’s on Hillsborough Street, it is a great place to get a sweet treat because of the variety of options and never failing exceptional taste and quality. 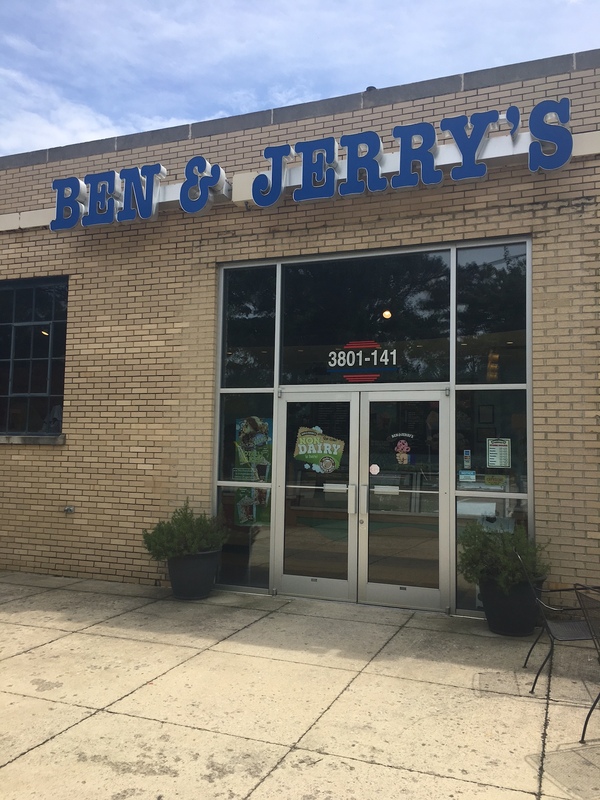 Located in the Royal Building next to Jasmin’s and right across from Meredith College, Ben and Jerry’s Ice Cream has been a fixture of this area for over 10 years. The large population of college students and locals have loved having this sweet treat so close to campus and the heart of the Hillsborough Street district. When I walked in, I immediately was drawn to the bright colors of the huge cow painting on the wall. The room has a great aesthetic that is vibrant and fun, appealing to all those who are kids at heart just looking for their next sweet treat fix. Many of the organizations that Ben and Jerry’s supports are advertised around the large room which really shows how the company supports local charities and causes. I definitely like giving my money to a company that gives back and cares about the community it is in. There were countless options of ice cream available ranging from regular chocolate and vanilla to fruit sorbets and even dairy-free ice cream. I was able to sample as many flavors as I wanted, and I did; four to be exact. I decided I wanted a lighter option, so I picked a scoop of Lemonade Sorbet, Mango Mango Sorbet, and Berry Berry Extraordinary Sorbet in a cup. It was a scoop of orange, yellow, and purple goodness. All three sorbets were fresh, sweet and tropical. I tried a few of the regular ice cream flavors and they were just as awesome. Ben and Jerry’s prides themselves in having high quality ingredients that are always fresh and delicious. For a large cup that included three heaping scoops, it was around $6, a pretty nice price for the quality and taste of what you are getting. I would definitely recommend Ben and Jerry’s to anyone who wants to take a break, cool off and enjoy National Ice Cream Day in the Raleigh area!